The staff at Boom Broadcast and Media Relations – Boomers – bring over 50 years combined experience in PR, media relations, marketing communications and content production. Our hand-picked teams work closely with our clients to develop innovative ideas and strategies to ensure that your campaign is seen and heard, with a resounding boom! From brainstorm to execution you'll be working with Boomers with the specific expertise for your project. Your team is dictated by project parameters and will include a combination of a lead (typically a Boom partner,) a project manager, broadcast consultant, content coordinator, producer and senior publicist. We will provide background and contact information for each team member every time you work with Boom. Get to know a little bit more about our senior staffers below. Our philosophy is straightforward: Whatever your unique objectives, your Boom team will work to meet or exceed expectations from planning, to implementation, to results. We are a vested partner in the success of your campaign. Barbara Gutjahr is a Founding Partner of Boom Broadcast & Media Relations with over 20 years experience in consumer, health & medical, entertainment and business-to-business public relations. Barbara's diverse expertise in media relations enabled her to create a company like Boom – one that provides clients with unparalleled counsel, strategy and service. And, her meticulous attention to detail is rivaled only by her thick Long Island accent that becomes more pronounced the more passionate she becomes about a project. Little did she know that her love of news could actually turn into a career. A news junkie, most mornings Barbara can be found scouring the morning news shows on multiple screens and devices. Her ability to simultaneously take in CNN, Good Day Philadelphia, The New York Post and Twitter serves her clients well! Joni (Joan) Winkler, founding Partner of Boom Broadcast & Media Relations, has over 30 years of marketing communications experience covering campaign strategy and execution for health/medical, consumer, travel and business-to-business clients. Her cumulative experience in counseling, strategizing and managing marketing communications programs for PR/Ad agencies, Fortune 500 clients and non-profit organizations provided the perfect foundation for creating a company like Boom. In her role as partner, Joni draws on her experience to deliver a level of service to clients that reflects an unyielding respect for their mission and communications objectives. The variety of work, challenges and clients keeps her loving Boom. Joni and her husband Bryan live in Colorado and have two boys in college and two dogs on the couch. Give her a ring the next time you're out west. Julia Liu is VP, Solutions at Boom Broadcast & Media Relations with 12 years of experience in broadcast media relations. She is personally vested in the success of every single one of Boom's projects. And, she still gets giddy when she hears one of our public service announcements on TV or radio. Julia is someone whom clients rely on to get things done quickly — she is a “do-er". Julia is also stickler for getting things done right — a true Virgo. She welcomes any challenge at work and, each day without fail, she learns something new which she is always delighted to share with the rest of us. At home, Julia is usually in “search and rescue” mode: Soccer Uniform Socks Unit. And when she isn't busy hunting down socks she on the soccer sidelines cheering on her girls and often seen ungracefully trying to fit her folding chair back into its frustratingly small bag. Julia is married to the Best Parking Spot Finder Ever and the mother of two daughters, each of whom have inherited a few of her traits: love of the beach, ice cream, shoes, and negotiating deals to get what they want. Movie: Mostly anything Sci-Fi (Star Trek reboots especially) and Dirty Dancing – there I said it. Wendy Levi Lienhart is a highly skilled communications expert with over 25 years of experience in public relations alone. After working as an evening news anchor and reporter for WQOW-TV, Wendy applied her journalism and broadcasting expertise into an award-winning and highly regarded public relations career. Wendy spent eight years at Hill and Knowlton as a media relations specialist and senior video producer where she built strong relationships with reporters and editors. 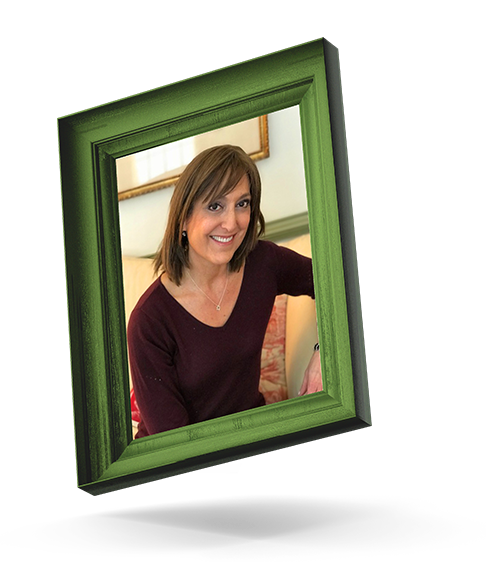 She used her knowledge of print and broadcast media to develop targeted pitches for clients including Quaker Oats, Miles Inc. Diagnostics Division, Searle, St. Jude Children’s Research Hospital, Kraft, World Book, Exxon, Pepsi and Kodak. As a senior video producer, Wendy coordinated all video news release and satellite media tour production as well as participated in crisis and spokesperson training – making her a beautiful fit for Boom. Wendy lives in suburban Chicago with her ad exec husband Parker and children Banistre, a senior at Ball State University where he is captain of his Division 1 swim team, Cooper, an environmental engineering major at Cal Poly, and Peyton, a high school senior who hopes to follow her brothers as both a collegiate swimmer and an engineering major. Filling Wendy's soon to be empty nest are Finley, a super-charged Boston Terrier and Piper an attention grabbing French Bulldog. Both have achieved Instagram fame as Finley_Piper, due to their mother’s shameless promotional skills that have served her so well throughout her career. In her spare time: Cheering on my kids at swim meets, working out and working on my tennis game. Movies/Shows: Most anything on the Food Network, Top Chef, Project Runway, Shawshank Redemption and Tootsie are my absolute all-time favorites! Causes: Any organization that is working toward a cure for cancer — I’m a survivor! Cocktails: Can’t go wrong with Champagne or a good margarita! Steve Angiolino is an Executive Producer with Boom Broadcast. With an illustrious tenure in broadcast media, he has worked on a wide range of projects for a varied group of clients. Steve is the on-site producer for Boom's SMTs and b-roll packages and is also our in-house editor. Before joining Boom, Steve spent 11 years as the head of the broadcast department at DBA public relations in New York City. He has produced projects everywhere and anywhere from athletic events to trade shows to national landmarks. Through hands-on experience, he has extensive knowledge of the technical details and the ability to think quickly on his feet that are necessary to a job's success. Steve lives in North Jersey with his wife Barbara and two children where they enjoy eating out, spending time in NYC and getting together with family and friends. Each year, he also helps to organize and produce a Dads-only variety show (featuring over 250 dads!) that helps to raise money for their local schools.